I have been a Mayo Clinic patient and resident of Rochester, Mn for the past fifteen years or more. I have four daughters and each of them have been born under the care of Mayo physicians. I want to take this opportunity to give thanks and recognition to Dr. Collette Lessard. She made it to my "precipitous" birth of my newest edition in March. Dr. Lessard was spotted running through the halls of the subways and skyways to get to us in time. She is an excellent asset on the Mayo Clinic team. 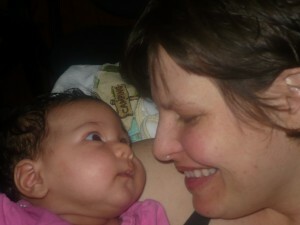 I am so pleased to have her as part of our birthing experience. The new birthing unit is nicely designed and much more "home-like" than the previous unit. I was able to hold and nurse my baby with all of her cares being done right next to me. I had hoped to make use of the birthing tubs, but time did not allow us to do so. Aside from all of the new improvements and modern updates to the birthing center, the patient care for my new baby and myself was exceptional and unforgettable. From the two women who admitted me, to the nurse who gave my baby her first bath, each Mayo employee played an integral role to our first day as a new mom and newborn. I am so grateful to each of you for living up to your mission statement and giving us such a wonderful start to a new life. I have been blogging a fictional story about the history of the Mayowood area in southwest Rochester, including Dr. Charlie Mayo's Ivy Lodge property and the "Big House". I would love to have your questions and comments posted. I also hope you enjoy the beautiful photography from local artist/photographer Chad Johnson. I invite you to follow along here.